Offering delightful accommodation with three double bedrooms, well maintained living space and good-sized rear garden is this end terraced property. Accommodation comprises entrance hallway, downstairs modern white bathroom, lounge, dining kitchen, conservatory, three good-sized bedrooms to the first floor. Outside there are attractive gardens with a large area for outside storage sheds. Decking patio with laid to lawn area and boarders. The property is located close to local shops and supermarkets and is ideal for a young couple buying their first home. 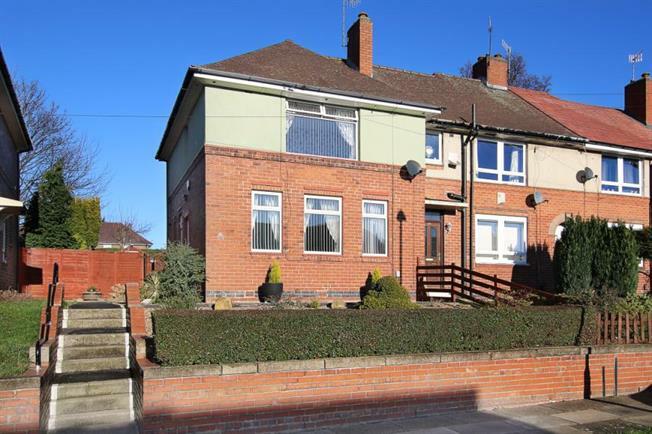 The house offers gas central heating, double glazing and security alarm system.